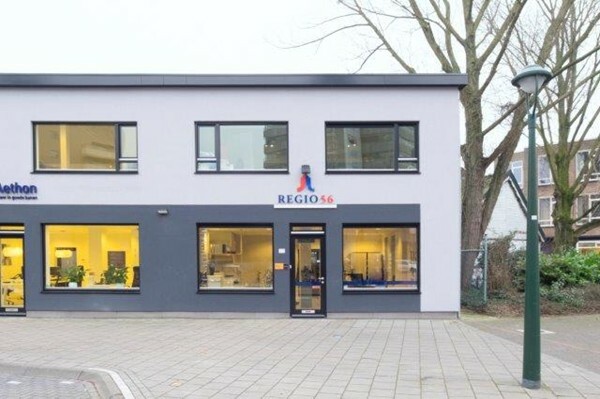 One independent studio on the ground floor and 4 newly a-dependant furnished room / studio located on the Wilgenroosstraat, near the ring of Eindhoven and good located from Eindhoven centre and ring Eindhoven. In the immediate vicinity of shopping facilities and public transport. Central entrance, hall with mailboxes and access to the 2 toilettes. Ca. 20m2, independent and private apartment of 25m2 , furnished with bed , desk, closet and bar with stools. Kitchen with refrigerator , electric stove and cupboard . Washing cabinet . Tiled bathroom with shower and sink. Approx. 15m2, floor with carpet, completely furnished with bed, desk, closet, bar with two stools, bathroom with shower and sink. Approx. 12m2 floor with carpet, completely furnished with bed, desk, closet, bar with two stools, bathroom with shower and sink. Approx. 20m2 floor with carpet, completely furnished with bed, desk, closet, bar with two stools, bathroom with shower and sink. Use of big roofterrace of approx 10m2. Residents of room 3 and 4 share the 2 toilettes on the ground floor with the ground floor residents. Separate area where each tenant has access to its own kitchenette with fridge and 2 ring electric hob and cabinets and pots and pans of own use. Separate closet with the washing machine for commonly use. Approx. 22m2 floor with carpet, completely furnished with bed, desk, closet, bar with two stools, bathroom with shower, sink. Own kitchenette with fridge and 2 ring electric hob and cabinets and pots and pans of own use.